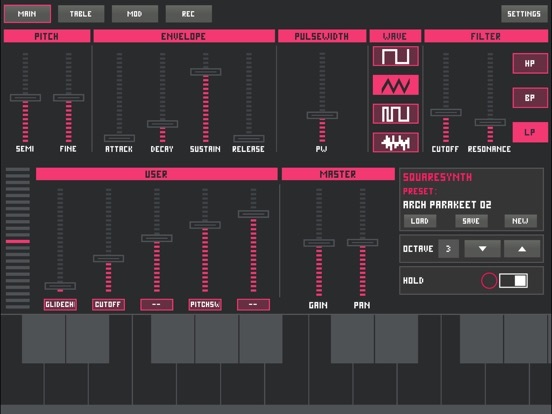 SquareSynth 2, from James N, was updated with new presets and AUv3 parameter automation! - Colors are more muted. - Line Graph Display table automation. - Audio Unit (AUv3) parameters writable in host. - Fixed Pitch Sweep bug on iPad.